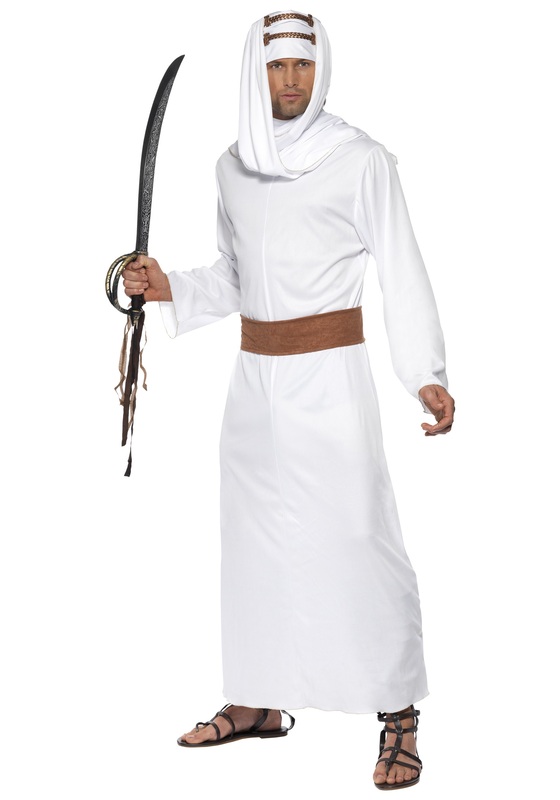 In the Arabic language a Sheik is a title of honor so you'd better be ready to be fawned over while decked out in our Arabian Sheik costume. Rule your land the way you see fit. Want to celebrate Halloween every day of the year or maybe enforce more naps, whatever crazy rules you want to enforce you can, and no one can say otherwise. While you may have inherited your royal blood from your father, this costume will give you a look that's all your own because being king really is the best! 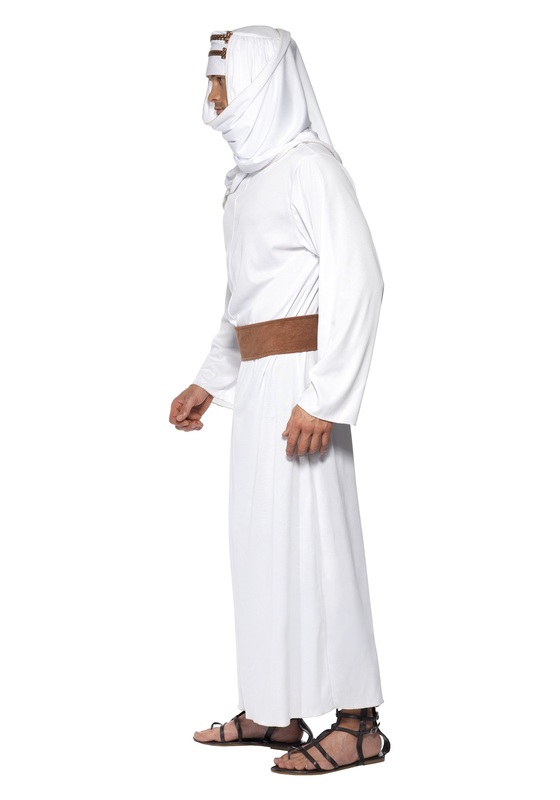 While draped in our Arabian Sheik costume you will be looking so authentic you may even find your Sheikha (that’s the female version of Arabian royalty in case you didn’t know). 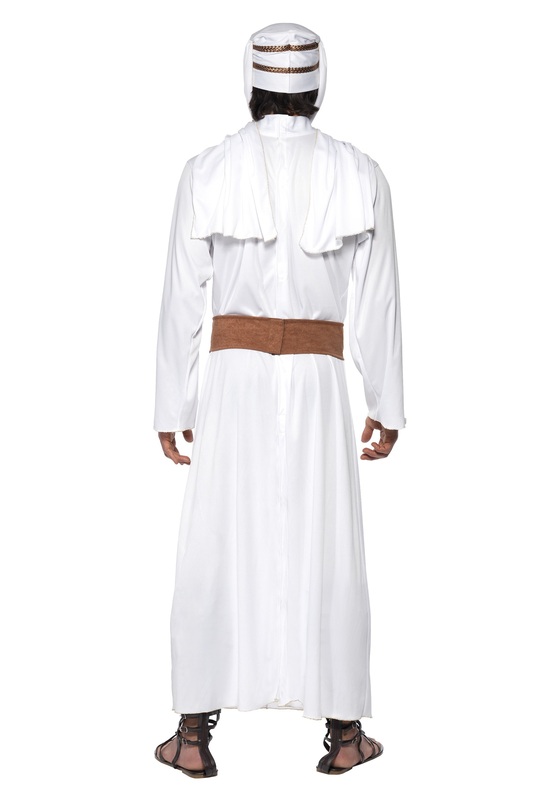 Your Sheikha is sure to be impressed with your dapper duds! You not only will get the Arabian inspired white gown and keffiyah headpiece, but you will also get gold accents to give you a little extra royal flair. If you’re lucky your lady friend will let you borrow her best pair of strappy rope sandals so you can get the full Sheik look going. If not, then you're in luck because we sell those too! Maybe your dreams of traveling to far away lands won't play out exactly the way they do in your fantasies, but you can at least look the part. Made to look like something right out of a true Middle East adventure, this outfit brings you the princely look of a Sheik.